When my friends and I wear our fancy flower headbands out in public we get attention, oohs, aahs, and “where did you get those?” (read about them here and here) Following the recommendation of a number of those ladies I opened up an Etsy store to sell custom-made flower headbands for those women (or men) who like to be just as fancy as us! 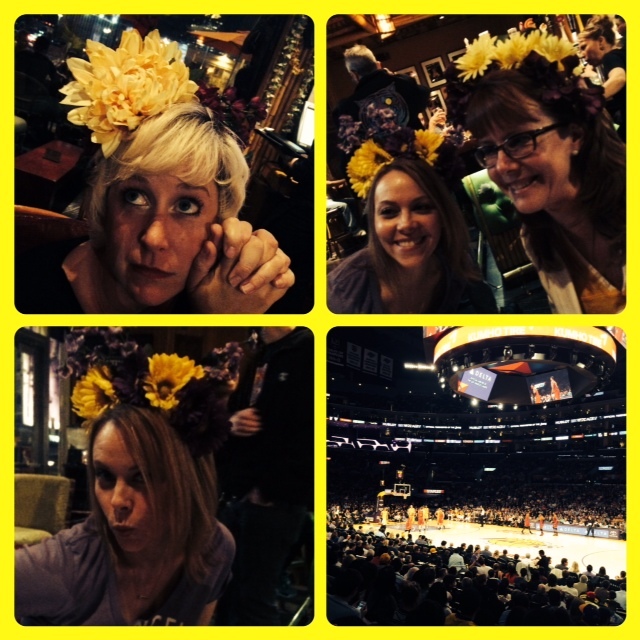 Yesterday my friend Leslie had Lakers tickets that she shared. Over a mai tai at Trader Vic’s pre game Dee Dee and I realized although we have both been to many games neither of us had ever been to a Lakers game. 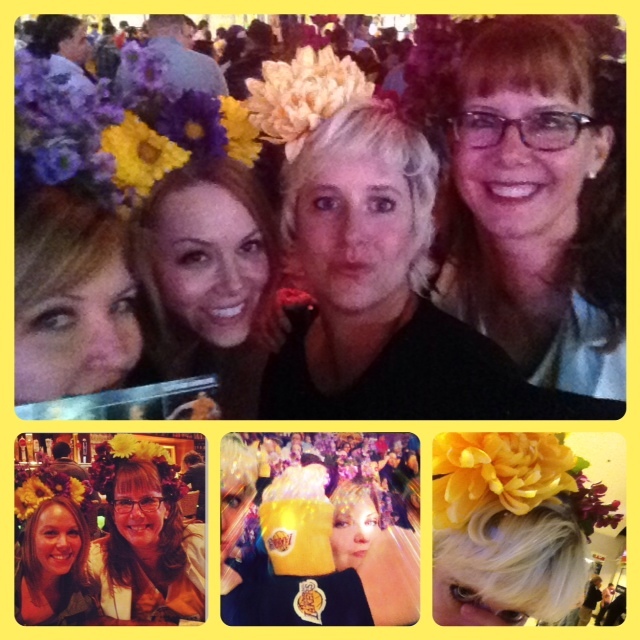 Luckily, per Leslie’s brilliant suggestion, our foursome sported some lovely and color themed headbands during the game. It was the perfect way to cheer on our favorite team (at least favorite team now that we have team color headbands). Dee Dee and I decided that we were really great at cheering on the boys down on the floor/field/whatever it’s called. 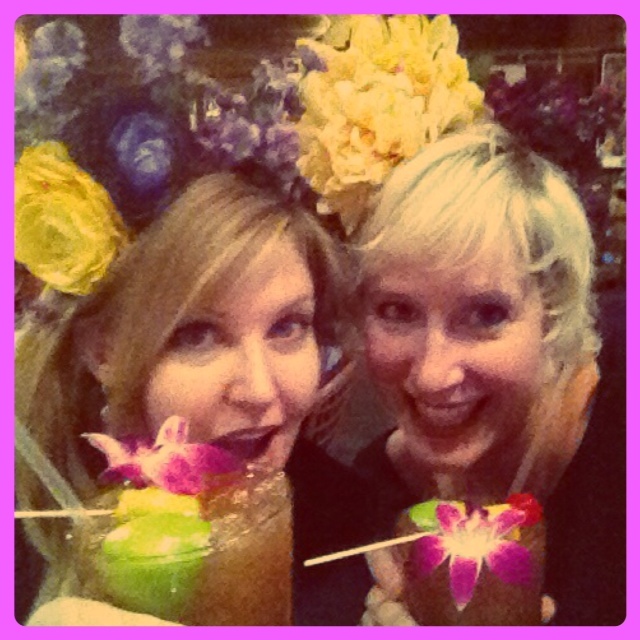 It may have been the mai tai’s talking but we agreed we should become professional sports followers/cheerers/commentators. 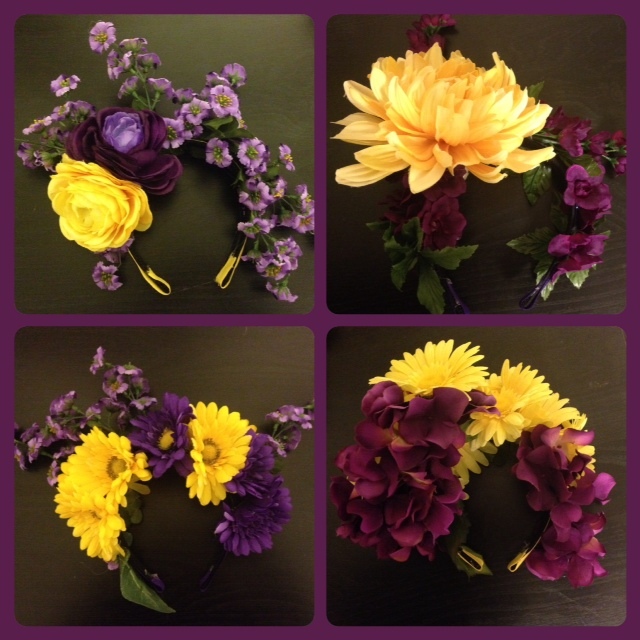 If you would like to purchase a custom-made glorious flower headband (and are located in the United States – I’m too lazy to figure out how to ship internationally) head on over to my spankin’ new Etsy store and put one in your virtual shopping cart!